They are known as Mollusca.The pastel rainbow colors of the Abalone shell enhance feelings of peace, beauty, compassion and love. Work with the Abalone shell when you are facing tough emotional issues.The Abalone shell has been tossed and turned in the ebb and flow of the ocean for many years. 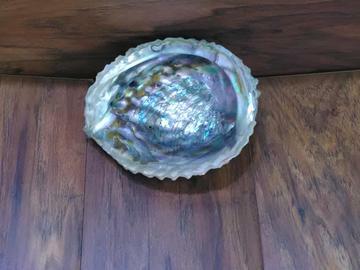 Abalone shell strengthens the immune system, energizes the body and aides in the assimilation of proteins. It can also benefit athletes by increasing strength and stamina.